2011 has been a very important and stimulating year for you, our members, and for the International Road Federation, your organisation. Those who have been able to attend one of the numerious events organised, will remember the success of our conferences, workshops and seminars. 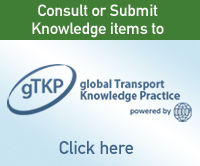 The latest 2011 edition of the IRF World Road Statistics was released a month ago. You can order this unique and authoritative data reference source through at our office, either by email to stats@irfnet.org or by clicking here. As publishers of the World Road Statistics for more than 45 years now, we can also provide you with a compilation of data series. The year ahead promises to very exciting, with a comprehensive programme of events, meetings and publications planned. 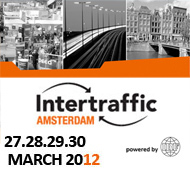 The first of these will be organised in conjunction with INTERTRAFFIC 2012, where IRF will be showcasing. Stay tuned and join us at this key event! You can now also follow us on Linkedin , Facebook and Twitter to keep regularly abreast of the very latest information and news on IRF. Check out these exciting new communications channels and let us have your feedback and suggestions. Meanwhile, the financial crisis has affected most parts of the world, and our members in Europe have been particularly impacted by current uncertainties in the Eurozone. Thus, more than ever, it is important that the voice of road infrastructure stakeholders continues to be heard at political level. IRF lobbies to ensure that our members' interests and concerns are duly reflected in government policy. IRF members influence, drive, promote, innovate and engage. Join us today and help set the road agenda for tomorrow. Road infrastructure professionals from public, private and academic sectors have gathered in Moscow on 22-24 November 2011 on the occasion of the International Congress on 'Innovation in Road Infrastructure', organised by the International Road Federation (IRF) and local host Mr. Leonid Kozlov, Vice President of ICIE and IRF Executive Committee member. IRF's Road Financing & Economics committee held its 1st working meeting, organised in conjunction with the IRF Innovation in Road Infrastructure Congress in Moscow, Russian Federation, on Monday 21 November 2011. Endorsed by IRF and organised by the Ministries of Works and Transport in Tanzania in collaboration with the Association of Southern African National Road Agencies (ASANRA), the 5th Africa Transportation Technology Transfer Conference was held in Arusha, Tanzania, from 21- 25 November 2011. The Chinese Government invited Mr. K. K. Kapila, Chairman of IRF Geneva, to chair one of the key discussion panels at the 2nd ASEM Transport Ministers' Meeting held in Chengdu, China. High level speakers delivered key-note speeches and had in-depth discussions on the topics relating to the theme of this Meeting, i. e. 'Asia-Europe Connect: Green, Secure and Efficient', and had constructive dialogues with the industries in particular. After 61 years of existence, the longstanding IRF member, the South African Road Federation (SARF) has elected the first women as President for its Association. In her acceptance speech, Mrs Logashri Sewnarain outline her programme for 2012 / 2013. Prior to the IRF International Road Congress, held in Moscow from 22-24 November 2011, the IRF Geneva Board of Directors met to discuss the activities and challenges of the year ahead. As a prominent member of the United Nations Road Safety Collaboration (UNRSC), IRF Geneva leads a high-profile Working Group dedicated to improving the safety of road infrastructure and broader transport networks. Following on from the 2007 Conference where the Accra Declaration committed ministers to work together to stop the growing epidemic of deaths and injuries on African roads, a second conference is being organized jointly by ECA, SSATP and the Government of Ethiopia, IRF, in collaboration with AUC, AfDB and the World Bank. Cristian Gonzalez in charge of the Statistics & Data at the secretariat of IRF Geneva, announced the publication of a Manual and tool calculator, which he co-authored with Fabrizio Carlevaro, on Costing of Improved Drinking Water Projects for Low Income Communities, at the 2nd International Water Association (IWA) Development Congress & Exhibition in Kuala Lumpur last 21-24 November 2011. This Manual is the result of a joint research project of the World Health Organization and the University of Geneva where Cristian is a part time researcher, on the methodology of economic costing of water supply and sanitation technologies. We congratulate Cristian to this public launch and have no doubt that his experience and modeling skills using data are valuable for IRF to establish methodologies to assess quantitatively public and private transport projects.